According to Asos Marketplace, the average female customer has almost £1,000 worth of clothing sitting in their wardrobe that they’ve not worn in over a year. After all, you can only wear one outfit at a time, right? Imagine selling your clothes for cash for the sum of £1,000. What would £1,000 mean to you? or is it simply an added benefit of having a cleaner and clearer wardrobe. One of the very first things I did in my quest for minimalism created a minimalist wardrobe. It’s super simple and very empowering. However, what do you do with all those leftover clothes? Well with an estimated £1,000 in cash just hanging there it’s probably time to learn how to sell your clothes for cash. Probably the easiest and quickest way to sell your unwanted clothes for cash is at your local car boot sale. However, the easiest and quickest means that you’ll be lucky to get more than £1 per item. Fine if you’ve items from the likes of H&M and Primark, but not if you’ve some real designer gems to sell. Car boot sales can be tough, be prepared for people to haggle with you on your prices (regardless of how low they are to start). If you’ve not been to a car boot sale before then bring a friend along, perhaps share the experience together. It’s unlikely you’re going to get rid of everything at one car boot, so think ahead about what you’re going to do with the remaining items – perhaps donate to charity? In my opinion, the best way to get money for your old clothes is by selling them on resale sites. However, it’s not the easiest route is it’s going to require some time and effort on your part. In return, you can expect to get a huge increase in your selling price. This method has gone onto be so popular we’ve written a full article on how to sell clothes for profit on eBay! 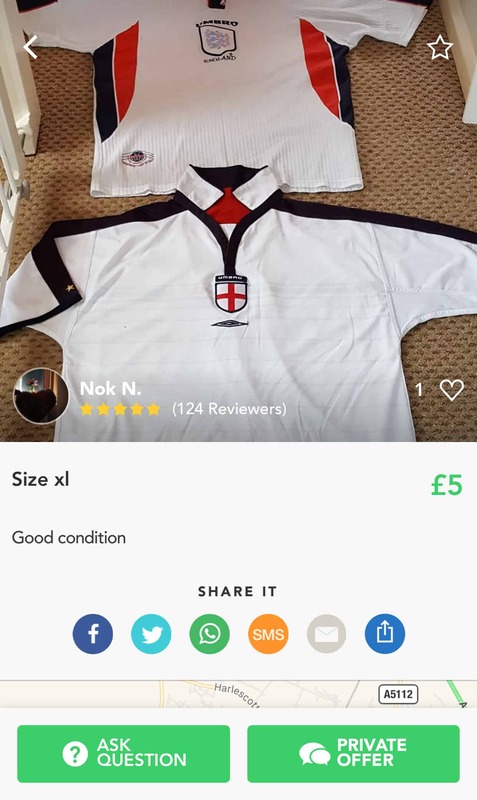 Selling clothes for cash on eBay is very, very different to selling at a car boot. The person who’s purchasing your item can’t hold it, can’t feel it, and can’t admire it from every angle. Because of this, it’s important to take a good look at all your items. Don’t be put off by brands. We’ve sold items from H&M and Primark for more than RRP, so list anything and everything. You’ll probably be surprised at what things go for. That’s not to say ignore the title & description entirely. 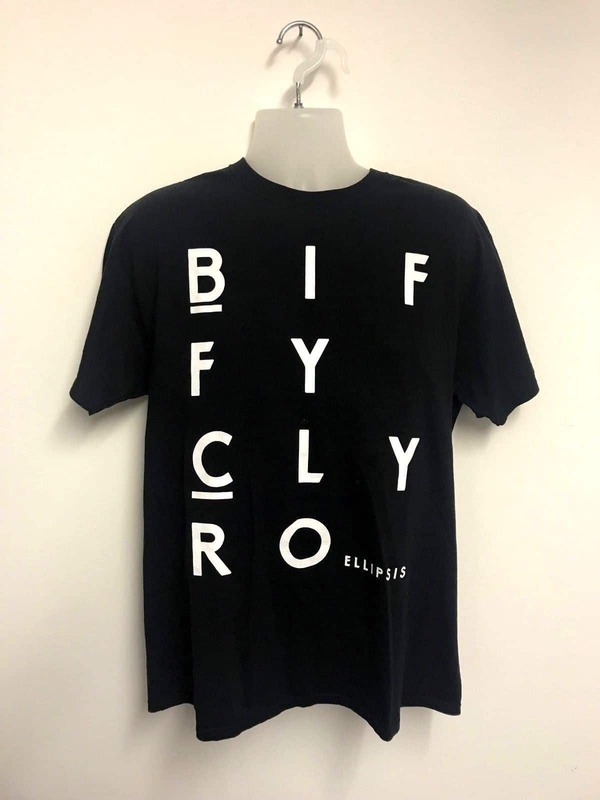 However, one photograph of a crinkled up t-shirt probably isn’t going to sell it. Instead, iron your clothes. Look at how others have displayed and photographed their items and take multiple photos. You’re allowed up to twelve photos per listing as part of an eBay listing – make use of each and every single one of them. Finally, be sure to title your item appropriately. Think about what people will search for to find your item and use that in the title – it’s no good having 12 amazing photos if you’re items not showing up in search results. Shpock labels itself as the online car boot sale app. At first, I wasn’t convinced but over the course of the past six months or so I’ve used Shpock to buy and sell a number of items including clothing. It doesn’t cost anything to list your items on Shpock and they don’t take a commission on any sales. Instead, they profit using small adverts and upsells on the application and website. Shpock mainly connects local buyers and sellers so the person you sell to is likely going to come and collect the item from your home. Much like eBay, photo’s matter. People, aren’t going to physically see the item until they come and collect so you want to impress the buyer. Founded in 2011, Depop is a mobile application only selling site dedicated to clothes. The website has a cult following of the young and fashionable and is the perfect place to sell vintage, retro clothing. Items are free to list on Depop. They simply charge a 10% commision upon a sale (including postage). Although there are other small charges depending on the way in which you choose to withdraw your funds from the application. PoshMark is a highly popular American based website and mobile application that allows you to buy and sell new and used clothing. Unfortunately, at this time it’s only open to residents of the USA. However, as it continues to gain momentum we hope it will be here in the UK real soon! Poshmark works similarly to social media in the sense that you can add friends and have a news feed based on the products you’re expected to like. There’s also the ability to like and comment on products too. Preloved is one of the many great alternatives to the major online selling platform, eBay. Personally, it wouldn’t be my first choice of places to sell clothes however it’s certainly a platform to consider if you’re looking for something a little different. The platform doesn’t charge any commission and instead makes money from pro-members and adverts. In the clothing category, there are currently more than 44,000 listings. Making it a popular choice for many. 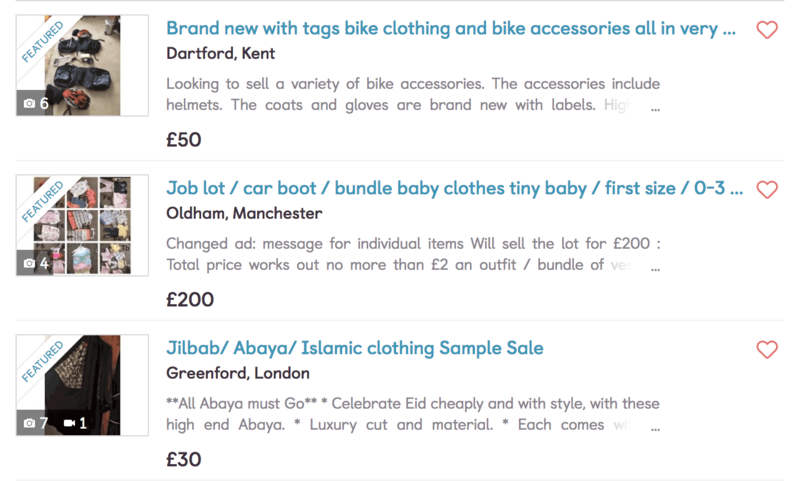 Gumtree is known as the local selling platform and is currently owned by eBay. It’s popular with many as there are once again no commissions for sales. Instead, the platform makes money from seller upgrades and adverts. While many associate Gumtree with ‘bulky’ items designed for collection only. 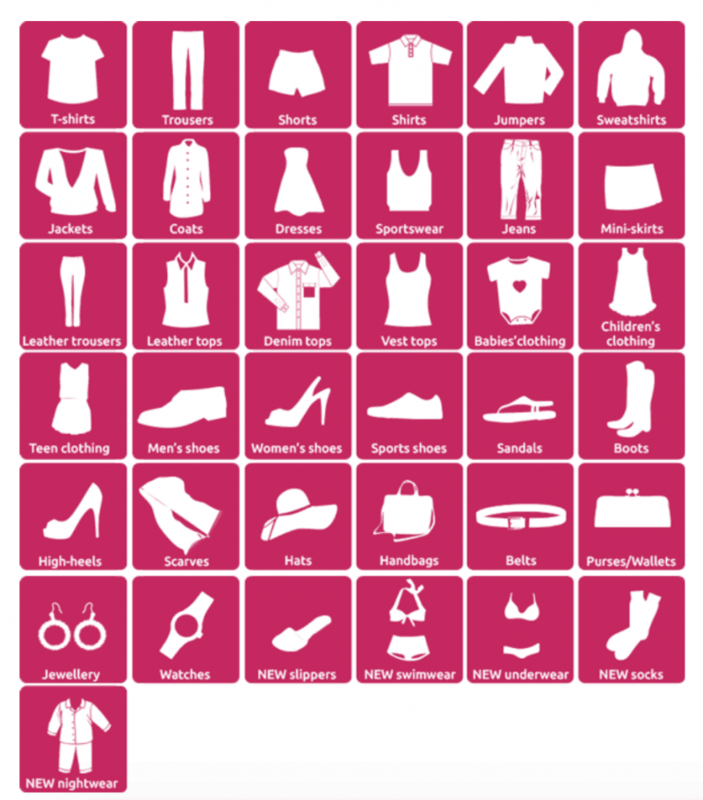 There are many clothes listed on the platform. Of course, for local sales on this platform, you don’t need PayPal which can be another great advantage for many. 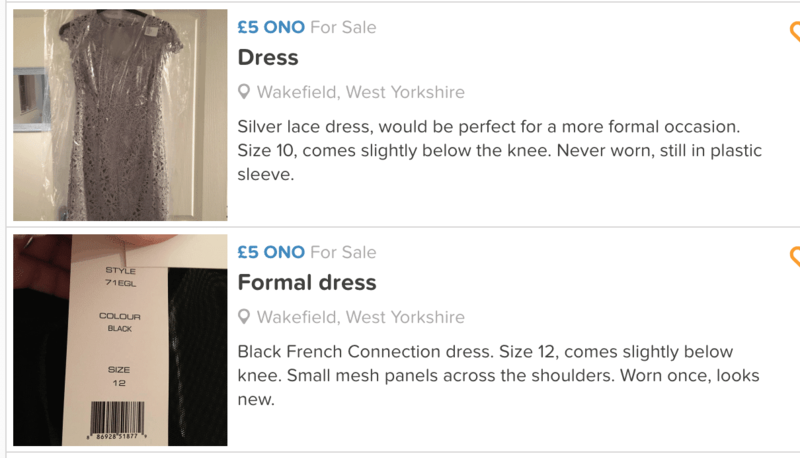 Of all the clothing re-sale websites on this list, Vinted is probably the one you’re least likely to have previously heard of. However, that’s not a reason to discard it. This dedicated clothes re-sale website operates out of Lituania and has customers from all around the world. 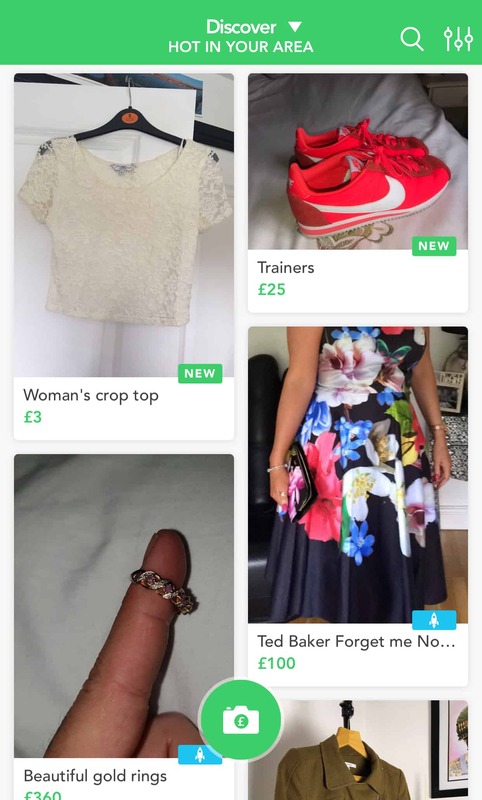 Vinted has a beautifully designed interface, and with the ability to sell online (or swap) for free. I can only see this website becoming more popular. Hardly Ever Worn It, often abbreviated to HEWI is a website dedicated to selling hardly used designer clothes. The average item on HEWI sells for £200 and therefore leaves the buyer with savings of up to 80% on RRP. Of course, when you’re selling items of such value you want to be sure you’re selling (and buying) only authentic goods and HEWI has a strict policy to ensure only the very best, quality and genuine items are sold on their website so you may find listing your first couple of items is a little slow compared to the likes of eBay. Finally, the commission. In this case, HEWI takes 15% which is the highest of all the platforms we’ve covered. However, if you’re looking for a specialist location to sell those super special items then this may just be the place. Since it’s launch in late 2016, Facebook Marketplace continues to grow in popularity. Adding items to the Marketplace is simple and straightforward, however from previous experience I’ve found selling items to be algorithm based. By this I mean, I’ll have items listed on there for weeks, sometimes even months. An I’ll have had zero interest or offers. However, when someone searches for the item, finds my item and messages me about it. I seem to then get a number of messages about that item in a very short space of time. After nothing but tumbleweeds previously. This isn’t selling… well… not exactly but hear me out. H&M believe that fashion is far too precious to end up in a landfill. Yet 95% of clothing that could be re-worn, repaired or repurposed does. So, in 2013 they launched a worldwide garment collecting initiative. To take part in this simply drop off your old clothing (regardless of the brand or the condition) into any one of the H&M stores across the globe. H&M used to offer a voucher in return for this sale, however, I don’t believe this is the case any longer. Can you get the feel-good factor of doing something good though? Since H&M launched this clothing recycling initiative back in 2013 they have gathered more than 40,000 tonnes (equivalent to 150 million t-shirts) of garments and given them a new life. Marks and Spencers have teamed up with Oxfam to encourage their customers to recycle clothing they no longer want. To take part, simply donate an item of M&S labelled clothing or soft furnishings to your local Oxfam. In return, you’ll receive a £5 M&S voucher that you can use to spend on a shop of £35 or more in participating M&S stores. I can’t help but feel that this article wouldn’t be complete without a mention of the rag & bone man. More commonly in the clothes industry, these are now known as clothes for cash companies, and there are hundreds of them. Using the internet you should be able to find either a local pop-up shop to drop your clothes off or arrange a collection using an online service. If you can’t find a local rag & bone man then Genie Recycling work similar with clothing when compared to Music Magpie for your CDs. Simply order your free Genie Recycling postage bag, fill the bag with up to 35kg of clothing and post it off using the free postage system. Once Genie Recycling has received your clothing they will pay you £0.50 per kg within 24 hours. I’ve never used the service Genie Recycling, so please do so at your own risk. This is simply another company with the exact same formatting as we covered above with Genie Recycling. Enter your details on the ReturnToEarn website. Get your free postage bag in the mail. Fill the bag with all your unwanted clothing. Get £0.50 per kg in the form of either; PayPal payment, Cheque, M&S voucher. I’ve never used the service ReturnToEarn.co.uk, so please do so at your own risk. Cash for clothes is a popular site where you can order the collection of your unwanted clothes for free. The site pays 50p per kilo of unwanted clothing and accepts clothing, footwear and accessories. You can order a bag and collection service online using their website. This is really a last resort for any clothes for cash programme as you’re likely to get as little as £0.50 per kilo, which let me assure you is nothing compared to any of the alternatives above. If you liked this post, then I’m sure you’ll love reading about how I bought no clothing items for an entire year back in 2015. It changed my life more than I can ever explain.